Working around local livestock is a daily occurrence as ADOT builds an interim detour in northern Arizona. 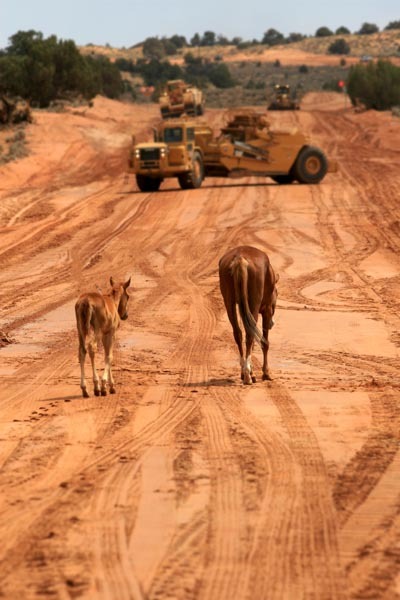 Horses and cattle are drawn to water used in the construction of US 89T (also known as Navajo Route 20). The highway project includes installing 58 miles of barbed wire fence.